This balm is my absolute handbag must have and does so many things in one product. I have tried many hand creams and balms for my dry hands and nothing has soothed them as well as this product. I only use a tiny amount and warm up the balm in my hands. The balm is not greasy at all and sinks straight in. Best of all, you only have to reapply once a day and the balm sinks in deep to keep your hands or body hydrated all day. 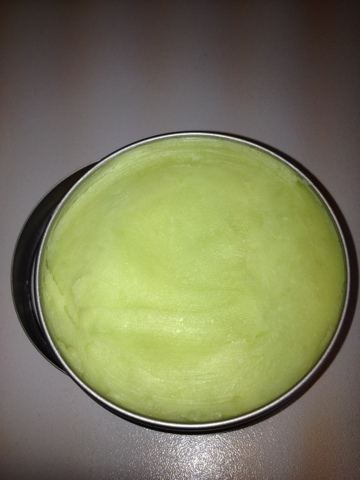 The balm is naturally anti-bacterial, anti-septic and soothing. Best of all, this must-have beauty product is only £8.95 for a large pot, but it is dinky and light enough for your handbag. I also use this balm on my lips, on my cracked heels, around dry tired eyes and even in my hair if I have a frizzy strand I need to tame. It worked especially well on a shaving rash I had, that seemed to magically disappear within a few hours. 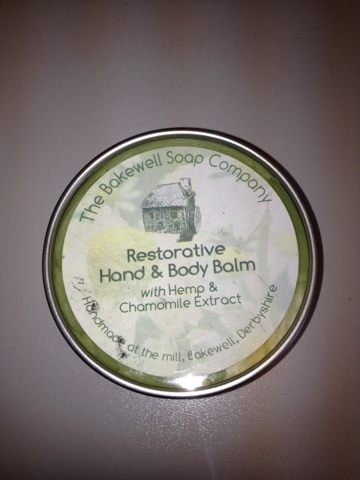 The Hemp in this balm heals and the Chamomile soothes. A great combination of ingredients if you have really sensitive hands. Best of all, the smell is an uplifting, fresh and calming scent that soothes you. I think it would make a great present for a gardener, chef or someone who types away like me all day and needs something soothing in their handbag. The balm is made by The Bakewell Soap Company who are famous for making handmade soaps and bath/body products by hand, using the finest essential oils and fragrances, botanicals and ingredients sourced locally and from around the world. products that are really natural, using holistic ingredients. making her own with natural and organic ingredients that were gentle on her skin. Soap Company, taking inspiration from our beautiful surroundings.